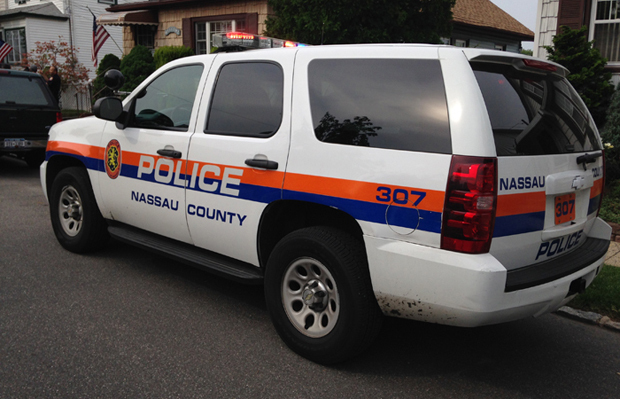 LONG ISLAND, NY – Crime Stoppers and the Nassau County Police Department are seeking the public’s help in identifying the pictured subject in connection with a Robbery which occurred in Massapequa, New York. According to detectives, on Sunday, July 19, 2015, at approximately 1:30 P.M. at Pathmark located at 941 Carmans Road in Massapequa, the pictured subject attempted to leave the store without paying for merchandise. According to detectives, the pictured subject attempted to leave Pathmark in Massapequa without paying for merchandise. When the subject was confronted by the victim at the checkout register, the subject assaulted the victim, and fled with the merchandise. Crime Stoppers offers a cash reward of up to $5,000 for information that leads to an arrest. When the subject was confronted by the victim at the checkout register, the subject assaulted the victim, and fled with the merchandise. According to detectives, the pictured subject attempted to leave Pathmark in Massapequa without paying for merchandise. When the subject was confronted by the victim at the checkout register, the subject assaulted the victim, and fled with the merchandise. Crime Stoppers is asking for anyone who can identify the above pictured subjects and vehicle, or with any information about this crime to call our toll free hotline: 1-800-244-TIPS (8477). Crime Stoppers is asking for anyone who can identify the above pictured subjects and vehicle, or with any information about this crime to call our toll free hotline: 1-800-244-TIPS (8477). Crime Stoppers offers a cash reward of up to $5,000 for information that leads to an arrest. All calls will be kept confidential.